There are two small buttons on the shield. The button labeled “Reset” is tied to the Arduino reset pin. When pressed, it will restart the sketch. The button labeled “Power” is connected to the modem and will power the modem on and off. For early versions of the shield, it was necessary to press the power button to turn on the modem. Newer versions of the board will turn the modem on automatically. The shield uses digital pins 2 and 3 for software serial communication with the M10. 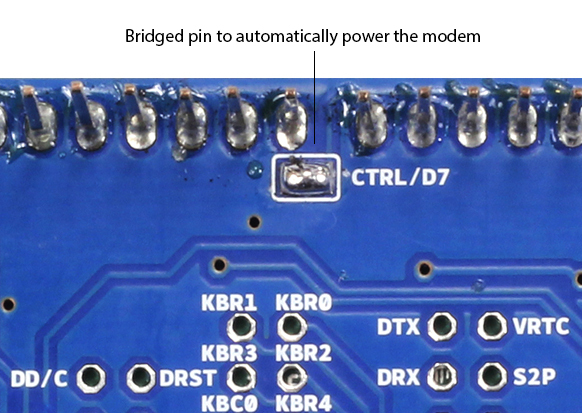 Pin 2 is connected to the M10’s TX pin and pin 3 to its RX pin. 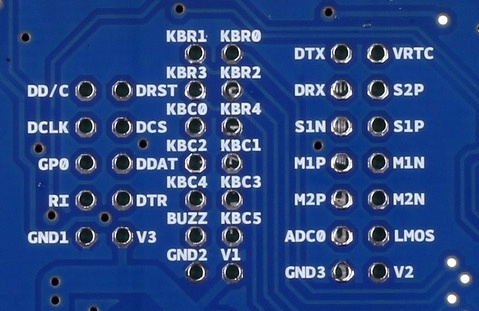 See these notes for working with an Arduino Mega, Mega ADK, or Leonardo. 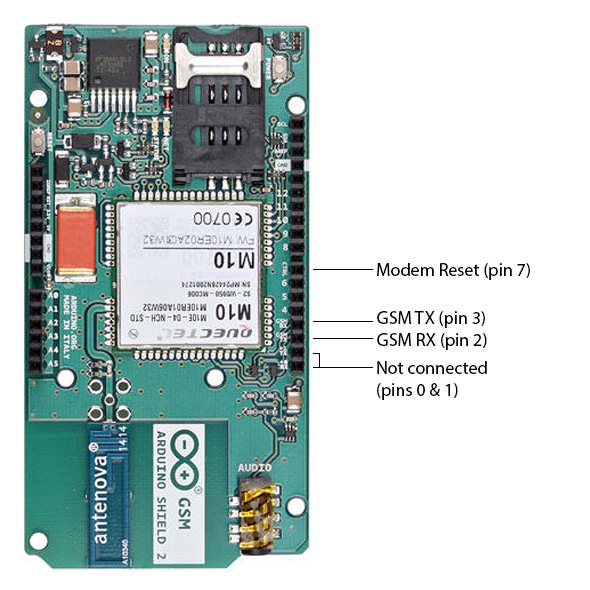 The modem’s PWRKEY pin is connected to Arduino pin 7.